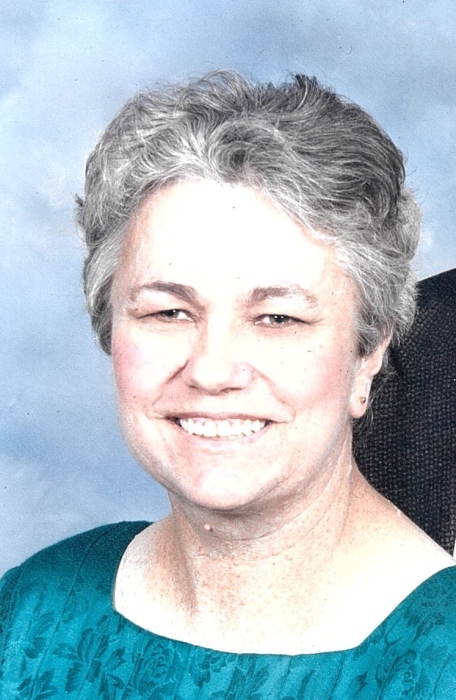 Mrs. Mary Ellen Johnson, age 66, of Andalusia, passed away Wednesday, August 22, 2018, at her residence. She was a member of St. Michael’s Anglican Church, and was very active in the First Baptist Church Bible Study for several years. She loved arts and crafts and quilting. She is survived by her husband of 43 years, Lee Johnson of Andalusia; her two sons, Thomas (Laurie) Johnson of Birmingham and Jeffery Johnson of Knoxville, TN; her two grandchildren, Laura Jane Johnson and Ryan O’Dell; and her brother, William (Ferra) Samuels of Gardner, KS. She was preceded in death by her daughter, Laura Christine Johnson; her father, Henry Lee Payne and her mother, Martha Corrine Samuels; her brothers, Patrick Earl Payne and Michael Lee Payne; and step-father, Thomas Clayton Samuels. Memorial services will be held at 11:00 A.M. Saturday, August 25, 2018, at Keahey Funeral Home Chapel with Fr. David McMillan and Fr. Oscar Seara officiating. The family will receive friends one hour prior to services – from 10:00 A.M. until 11:00 A.M at Keahey Funeral Home. In lieu of flowers, contributions may be made to St. Michael’s Anglican Church.